Leigh Community Art Group: A Trip To Paris For Free! Well not exactly but speaking as one who has been there you wouldn't want to be there in this weather anyway. 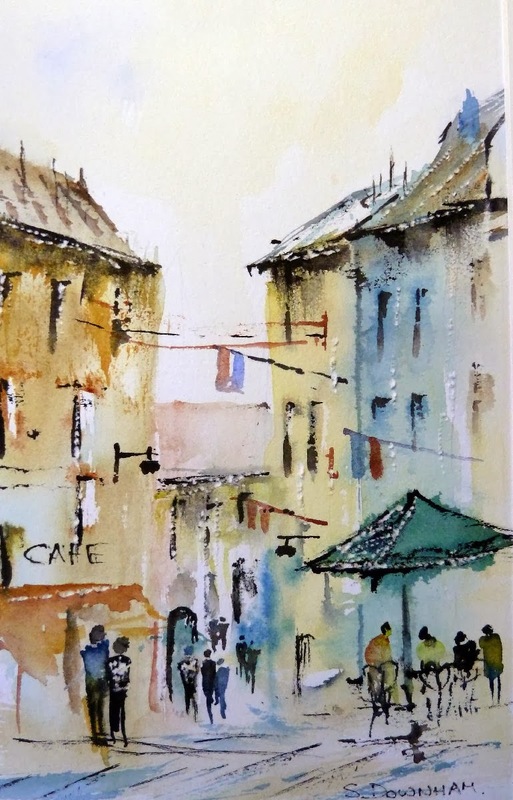 However, all is not lost so here is "Paris", a watercolour by S. Downham, one of our club members. You can just smell the coffee from here! Do You Recognise This View?